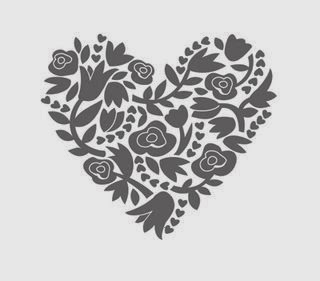 I know I wasn't supposed to be back until tomorrow, and I know you're deep into Christmas preparations, but the fresh new releases from Stampin' Up are so fabulous you just have to take a look! 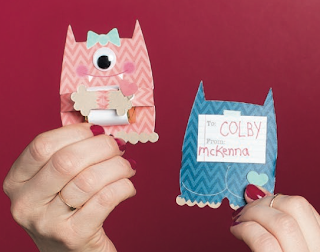 The stars of the show are these fabulous little pre-printed Monster Hugs! They come in little girl monster and little boy monster versions and the arms fold over to hug a treat or a message or whatever else you might want to put there! And they have little bottoms! They are so cute they have turned me into a squishy goo! In each kit you get 18 monsters, 18 googly eyes and 18 self-adhesive hearts - all for £5.50 - perfect for parties or to make nagging notes to your teens much more fun! 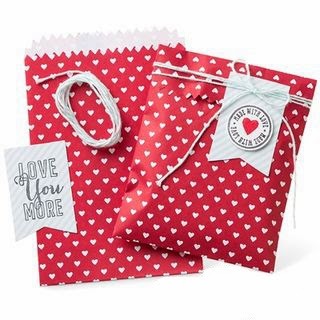 How about these beautiful little Sweetheart treat bags? You get 12 bags, 12 pieces of Pool Party bakers twine and 12 die cut labels for £4.50. 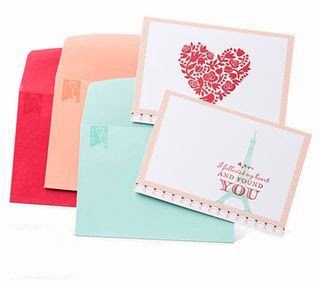 I love these Sweet Sayings card bases and coordinating envelopes too - you get 12 of the fabulous printed cards and 12 envelopes (four of each colour) for £5.50. This is my favourite - every single one of these images are definitely going to get heaps of use in the Crafting Square Metre! 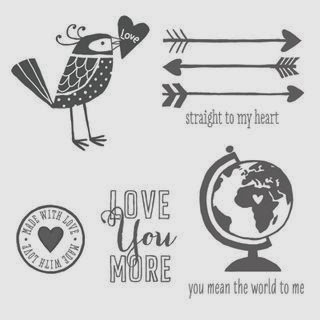 Love you More is £19.95 wood mount and £15.95 cling mount. Wow - this is a beauty too! 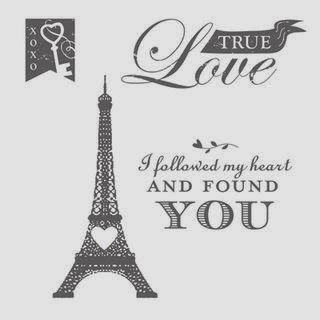 I especially love the banner tag and the sentiments are fabulous and the Eiffel Tower with a heart... LOVE it! Follow My Heart is £13.95 wood mount and £10.95 cling mount. Look at this elegant image too! Very elegant - you can see how gorgeous it looks stamped on the Sweet Sayings cards in one of the pictures above. Flowerfull is £8.95 and comes in wood mount only. These gorgeous new stamp sets and kits are available from today until 27th January or until stocks last.